Up fairly early, Tomasin and I hit the exercise room at the Residence Inn. I ran on the treadmill, while Tomasin used the bike. After having breakfast and getting cleaned up, we headed over to the Holiday Inn to pick up Snipes and Keith. Snipes decided that they wanted to see the Giants at Peoria. Heading to Peoria, we ended up stopping at the Deli Sports Bar. We played pool and watched basketball for an hour and a half. Tomasin and I won four straight pool games. From there, we wound our way towards the Peoria Stadium. I ended up going up one exit and working my way back towards the stadium. We ended up dropping Snipes and Keith about a half mile from the stadium. Tomasin and I then took off to join the rest of the group at Hohokam Stadium. I haven't been to Hohokam since 2004. 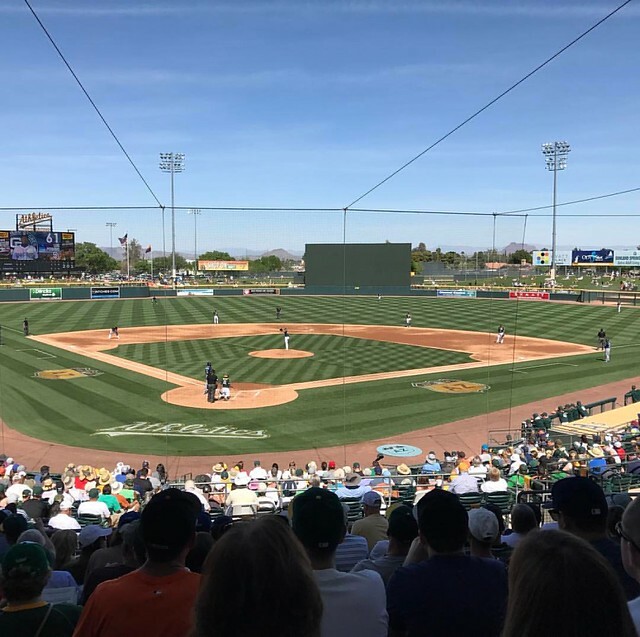 The A's moved there from Phoenix Municipal and the Cubs built a new complex. We walked into the stadium just as they were playing the national anthem and were in our seats for the first pitch. After the game, the group headed to Four Peaks Brewery. Tomasin and I eventually caught up Snipes and Keith back at their hotel. They had taken a Lyft back to the hotel from Peoria at a cost of $181!?! 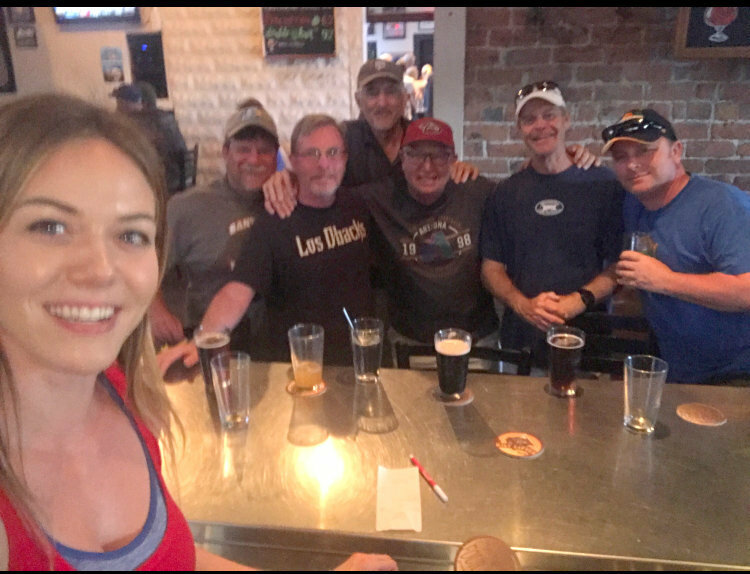 While most of the group went to dinner in downtown Tempe at My Big Fat Greek Restaurant, we hunted for a Mexican restaurant. After a false start, we ended up at Tacos & Tequilas. I realized later that I should have called Moore for a recommendation. After a stop at the lounge at the Holiday Inn watching drag racing, we crashed fairly early. Tomasin is heading back early Sunday morning.